The Science Behind Word Choice. Content Marketing. While you might think writing is more artistic than scientific, think again. Yes, it’s imperative to use the right combination of words to attract and captivate an audience. And of course, eloquently stringing sentences together to relay information clearly is important as well. But, when it comes to your brand’s message, your copywriter needs to get technical – and we aren’t just referring to grammar. In today’s world – the one where everyone has a phone glued to their hands and can search for anything in seconds – word choice matters. Okay, yes, word choice has always mattered, but keyword choice is seriously crucial. To increase your website’s traffic, top marketing companies like Design At Work perform search engine optimization, which includes the incorporation of keywords in your digital content. After gaining an understanding of what your company does, research is conducted to examine how people are searching for services, products or solutions like yours. Copywriters determine specific words and phrases your potential clients are searching for and weave those keywords throughout your website to be sure the right people can find your site so you can make conversions. For example, if an outdoor sporting goods store sells fishing poles, but doesn’t have the phrase “fishing rods” on their website, they could be losing out on thousands of searches a month, and over time that can add up to quite a bit of missed profit. 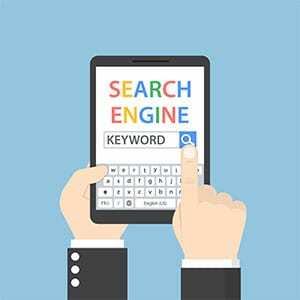 Your copywriter does all the leg-work to research and include top-ranking keywords in your website text to help your site appear high on the list of results returned by search engines such as Google. The good news is, if you’re already a client for an industry-leading advertising company – like Design At Work – then your copywriter is already incorporating keywords into your digital content! If you’re currently working on your own, consider reaching out for help, because as you now know, there’s a science to word choice.